The Texas Tribune, effectively acting as Team Straus’ press secretary right now, did a speaker vote count by phone last week. Thirty-one. That’s how many Representatives are willing to go on record as solid Straus votes right now. That means there are 129 votes somewhere on the wide spectrum of “maybe Straus, maybe Hughes”. This is an embarrassment for a Straus Team that is rumored to have called members last week, puffing that they were releasing a list on Wednesday, and that everyone else was already on it. Wednesday came and went. This is next Wednesday. Oops. The Tribune was quick to point out that they counted only one Hughes vote, Hughes himself, as if this restores order. Even if this is true, a non-commital posture to the Boss and a non-committal posture to a rebel General are well beyond apples and oranges – they are apples and tire irons. Today the Tribune ran Straus messaging about Bryan Hughes being a trial lawyer. AgendaWise wrote about that several weeks ago. The fact is, Hughes voted in favor for every major piece of tort reform, and Texans for Lawsuit Reform isn’t trying to get rid of the right to a jury trial in Texas. Rather, TLR has successfully fought the abuse of our court system. Only in a world in which TLR wants to abolish the right to a jury trial would they have any reason to oppose a Representative who has supported ending court system abuse, and who happens to also be a trial lawyer. Straus, on the other hand, has as his speaker vote base the party of lawsuit abuse and open season on business. He even shared gambling interests with Steve Mostyn at the start of the 82nd legislature, when Mostyn had been let into the ultra-exclusive racetrack license-holding club. Team Straus was also puffing several weeks ago when a panel confidently declared that Straus had the votes, then began stuttering when an audience member asked if he had enough Republican votes. Forget the Republicans. Straus doesn’t even have his Democratic base. Straus is a slimey cancer to Texas and has to go. He is Obama in White face and if the representatives want to keep thier jobs, I think they better think twice before backing this communist-like man as speaker again! We have had enough. Yes, Jalina, I agree with you 100%, Strays must go Now! sorry oops, Straus must go! 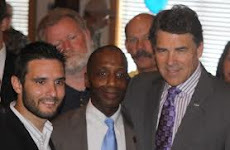 HD 11 did its part in defeating a Straus Lieutenant in the GOP Primary. Straus must be defeated as Hopson was.